I have a number of interior glulam beams in new construction and wish to stain them a medium brown color. I believe the glulams are likely a mixture of Douglas Fir and larch and as such have a lot of heart and sap wood which seems to make staining difficult to achieve a “uniform” color. Any suggestions for staining techniques and specific stains to use? “Uniform color” and wood beams are really two different ideas, unless you want to paint the beams or use a solid color stain. 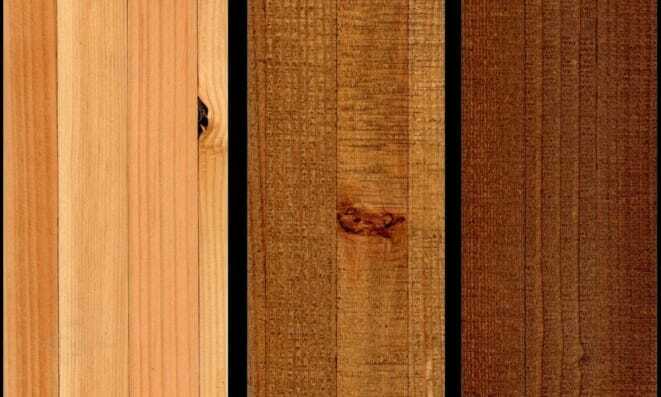 Even on a natural timber, there will be significant differences on color between the sap wood, and heart wood, along with variations around the knots. Having said that, a natural stain (very light), or a very dark stain are probably your best bets. We like to use Minwax products if possible. Here is a link to our Glulam Finishes page to give you some ideas. Or try our Wood Species and Finishes page. Old retired framer. Love looking at the site. Glad you enjoy the site.Thanks so much.